SKU: 311262. Categories: Latest, Wallpaper. 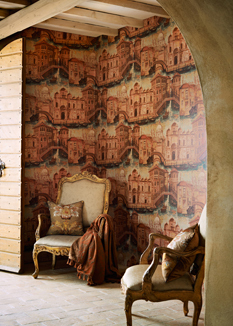 This dramatic design forms the backdrop to the Zoffany Tespi collection with its romantic scenes of Venice. Renaissance buildings/ bridges and canals have been painted in a loose/ mural style.